Mozambique (MNN) — Like dry and parched earth immediately soaking up the gift of rain, the people of Mozambique are thirsty for God’s Word. 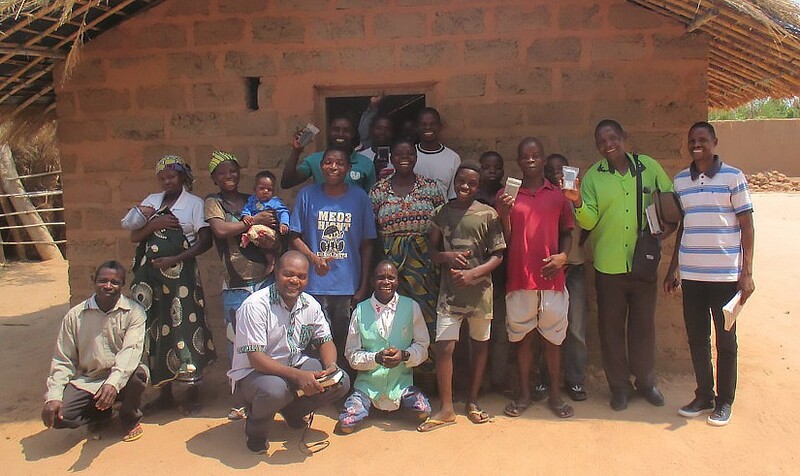 And every time Audio Scripture Ministries goes to do an audio Bible distribution in Mozambican villages, no matter how many they bring, there’s always greater need than they could anticipate. Joshua Harrison with ASM shares, “Almost everywhere we have the opportunity to place audio Bibles, there’s always this great hunger that we see as people see firsthand what God’s Word can do as they hear it in their heart language. They hear about it and their relatives hear about it and more people end up coming than we expect almost every time. Unfortunately, they’ve had to turn people away when they’ve run out of audio Bibles. But Harrison says it was especially heartbreaking after a recent distribution in Mozambique. They didn’t have any more audio Bibles to give a woman who had been waiting in line. According to the International Orality Network, approximately 80 percent of the world’s population are oral learners — meaning, they learn best through non-print forms of communication. So when it comes to receiving and learning God’s Word, this makes the availability of audio Bibles critical, especially in places where the entire culture is centered around orality and storytelling methods. For ASM’s audio Bible distributions, they’re hoping to continue to maximize resources and work strategically with pastors. But the biggest help would be more funds that can make more audio Bibles available. They currently have no more audio Bibles in stock in Mozambique, so all distributions there have ceased. The gift of an audio Bible is not like the average gift that only blesses the person who received it. Let’s just say the blessing ratio is greater than one-to-one — much greater. “One person listening will share it with his family, share it with their friends. We hear time and time again, ‘I listen when I go to sleep, I listen when I get up, I listen as I work!’ These people are meditating on God’s Word and then they want to share it with others,” Harrison explains. 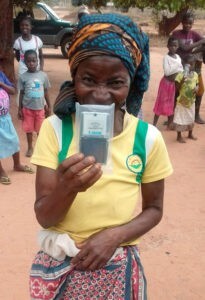 Click [below to donate to ASM and provide audio Bibles to the people of Mozambique]! As you give, pray for the hearts and souls hearing Scripture because of your gift — that God will use it to bring spiritual revival in countries like Mozambique. Make a donation to [Mozambique Audio Bibles] below.